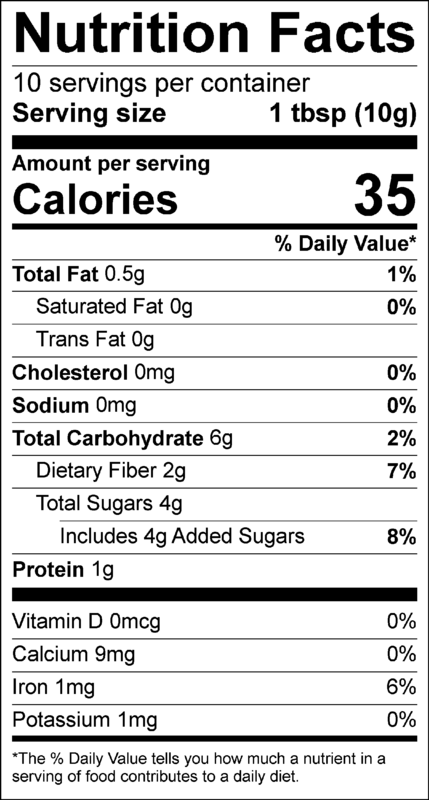 Cocoa powder, Sugar (organic cane sugar), Salt, Xanthan Gum, Organic stevia extract, Natural flavor. 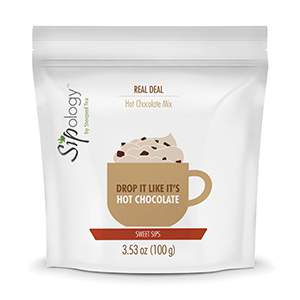 Mix 1 tbsp (10 g) of hot chocolate mix into ¾ cup (175 ml) of hot milk or milk substitute to taste. Stir and enjoy!